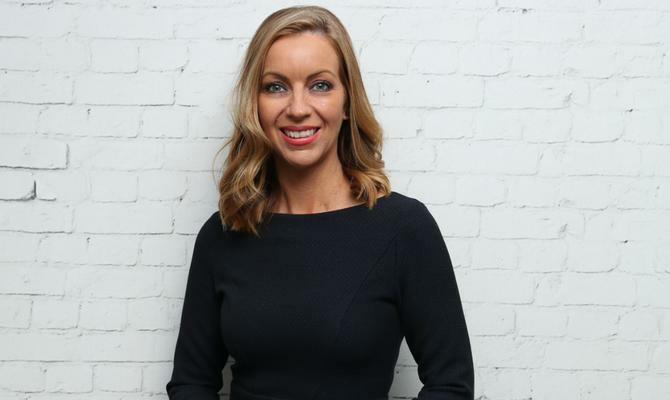 It’s been six months since Julie Nestor joined eBay Australia as chief marketing officer, and one of her initial priorities has been launching the online marketplace’s first loyalty program. Debuting in June, eBay Plus was originally overseen by the product team but in need of marketing’s touch and customer lens, she says. Having sat on customer retention teams at both Optus and American Express, as well as worked on NRMA’s membership program during her 20-year career, loyalty and retention are passion points for this experienced marketer. Because when eBay asked customers what they needed, certainty around free delivery and returns on anything they buy came up trumps. So the program’s core proposition is free delivery and returns on millions of items for a flat fee. Getting the customer loyalty program right is just one of the ways eBay is attempting to shift organisational focus from a product-led proposition to customer centricity. According to Nestor, ‘loyalty’ efforts previously focused on cross-sell and upsell, rather than how to achieve customer stickiness. “Personalisation has been a global capability but wasn’t really there in terms of customer mapping and journey, and starting with what we know about customers and why they come to eBay,” she explains. What’s also been absent at eBay, Nestor argues, is the art and human insight. “Sometimes we’ve had to come in and interrupt the algorithm and use a human brain to say how can we do this differently and what might be aspiring to a customer. It’s not just relying on the machine,” she says. Nestor’s plans to invest heavily in brand building is another reflection of the shift in thinking at eBay. A fresh brand-led campaign is due out shortly emphasising some of the core customer-led capabilities of what the marketplace delivers. While very comfortable in the performance management space, Nestor suggests eBay lost brand focus in recent years. “You have to get away from that constant onslaught of retail promotions, discounts and coupons and start driving a more valuable buyer experience from the product you have,” she continues. “I’m coming in with a strong buyer lens, which is what eBay needs right now. It’s been such a successful business – 9.5 million Australians on the site every month – but we have to keep growing and still get the group that haven’t made the transition. And it has to be better than just continuing to give them tactical offers. There needs to be a clear reason to think about eBay and to change consideration set. To help, Nestor is looking at what people actually think about eBay and notes significant perception gaps. Assisting Nestor reset the balance are two new resources: One executive with strong skills in media and creative, and another with strong expertise in customer engagement. At the same time, she recognises the need for data and insight to help her cause. There’s no shortage of data at Nestor’s disposal within eBay already, and she says it’s mind boggling how many ways the business can potentially gain customer insight. But with so many things to talk to customers about, she again notes a tendency to focus on product and internal insight over customer need. “There are so many messages – such as abandoning a cart, so should we talk to you about that product, or do we remind you we have a money-back guarantee or best price promise? They were all very initiative focused and not very customer centric,” she says. To combat this, Nestor is looking to overlay eBay’s first-party data with third-party data to better understand customers in terms of overall interests and preferences. “If you’re a bit of a discount shopper and you’re price conscious based on some of the other places you’re buying from and your spending patterns, we can give you an offer more relevant to price,” she says. “Whereas if you’re someone who really values convenience and has a lot of subscriptions and comfortable with them, we’re probably going to talk more about eBay Plus. Nestor says different data sets should be used by the brand to engage customers depending on channel and context. “When someone is on the site, we need to trust the algorithm to get that second purchase,” she says. “This is about trying to be a lot more relevant and reducing the amount of communication we’re sending. Another initiative Nestor kicked off to help her customer cause is on ‘mindless versus mindful’ shopping. As a democratic online marketplace, it’s hard to control every product and listing, she explains. A challenge is making sure customers trust eBay to provide the best outcome. This led to significant insight work and research around customer segments and identification of ‘mindful’ versus ‘mindless’ shopping. “Mindful shopping is, for example, needing to buy a birthday gift for your mum that has to be special and is you’re prepared to put time into it,” Nestor says. In contrast, mindless is shopping for toilet paper or nappies and is usually driven by search. “If you’re doing the latter and we don’t give you a fast experience, you’re not coming back. EBay has been way too geared for mindful shopping even for mindless purchases,” she says. Based on these insights, eBay Australia has started change the user experience onsite based on products it knows fall in either category. It’s starting with its top-selling technology products, along with fashion.